I have added quite a few “official” hugelkulturs to my orchard, butterfly garden, rain garden and pond area. 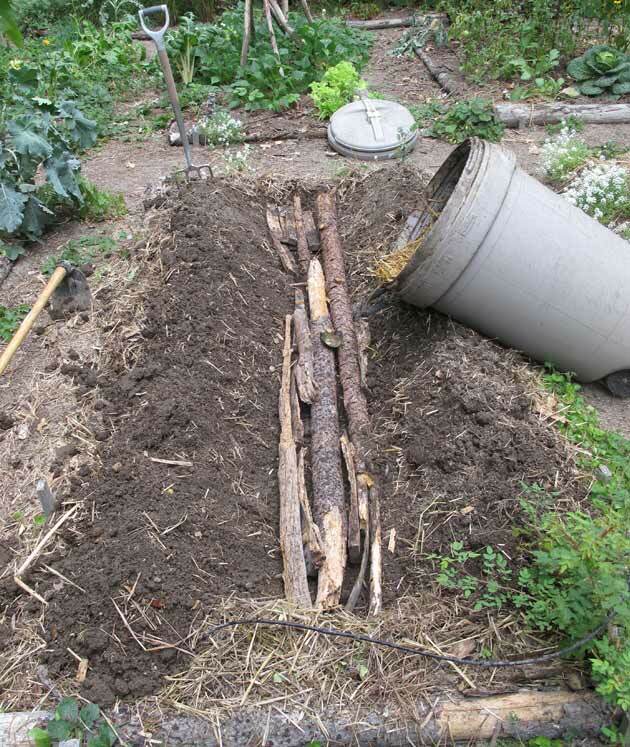 But in the regular annual vegetable growing part of the garden I have tried doing some modified versions, like digging a trench down the middle of a 4′ x 10′ bed and laying a single log in it. 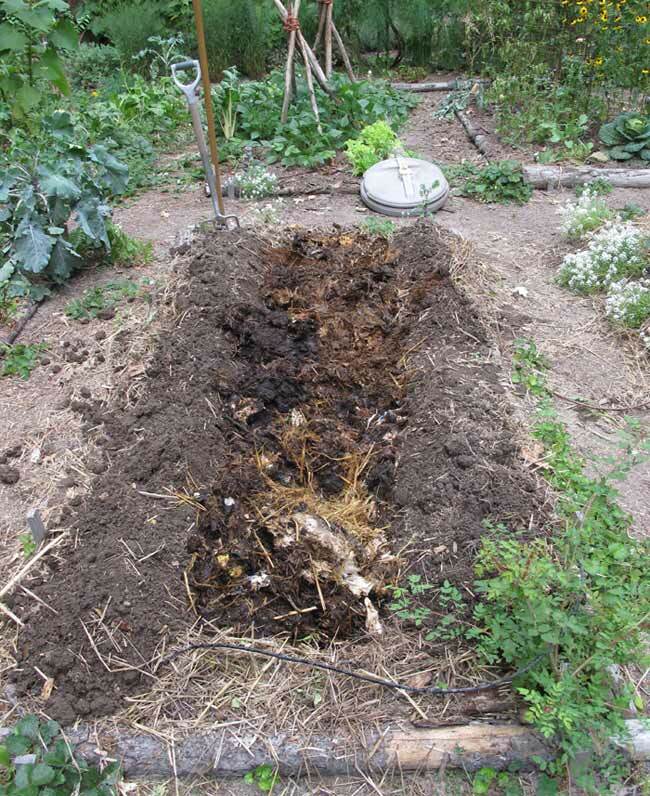 Today I dug the last batch of potatoes out of a bed, trenched it down the middle and lay some small logs and the remains of a rotting whiskey barrel which had been a planter for many years. Then I topped the logs off with a garbage can full of mostly composted kitchen garbage. In order to discourage rats and mice I have taken to keeping kitchen scraps in a 5 gal. bucket layered with pee-stained toilet paper that I save for that purpose. The 5 gal. bucket lives in the laundry room, and when it’s full I take it out to a full sized plastic garbage can by the potting shed, where it gets layered with straw or leaves. It slowly composts down and takes a long time for my son and I to fill (he has his own cottage and kitchen). When it gets pretty close to full, I roll it out to an empty bed, dig a big trench down the middle and spread the contents in it and cover it up with dirt. I have noticed that these beds, which only happen a couple times a year, seem to grow the biggest strongest plants in them!